As part of the Black History Month Hop, we are focusing on Black bookish events Around Town. I am so excited to feature the 28 Days Later campaign, which celebrates children's authors and illustrators, of color. The Brown Bookshelf was kind enough to stop by and tell us about their 28 Days Later campaign. I'll let their interesting post tell you about this wonderful event. When you are done, hop on over and check it out for yourself. 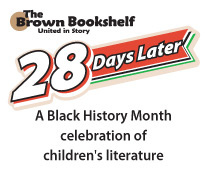 The fraternity of African American authors and illustrators focused on children's literature is more extensive than most think and that's exactly how the Brown Bookshelf and our 28 Days Later campaign was born. Without it, librarians, teachers and even parents would continue to assume that great authors like Christopher Paul Curtis, Mildred Taylor and Walter Dean Myers were the only artists creating stories featuring characters of color. We wanted to honor the past and celebrate the future of those books, so we structured 28 Days Later to feature vanguard authors who blazed trails and those authors and illustrators that aren't nearly as well-recognized. Every day in February a new author or illustrator, their body of work and latest project are featured. It's pure, unadulterated immersion in kiddie lit by creative artists of color. The Brown Bookshelf filled a void, but we and our campaign haven't been without its controversies. Among them, our name. We actually selected the term "Brown" as opposed to "Black" because brown was more inclusive. Although we primarily feature African American authors during the campaign, throughout the year we highlight children's books by authors of color, in general, and those by Caucasian authors that feature brown characters. It's as inclusive as an initiative can get while still serving an under-served niche. Another controversy, that we celebrate 28 Days Later during Black History Month. Some authors and illustrators believe that by doing so, we're supporting ignoring great brown books the other 11 months of the year. False. 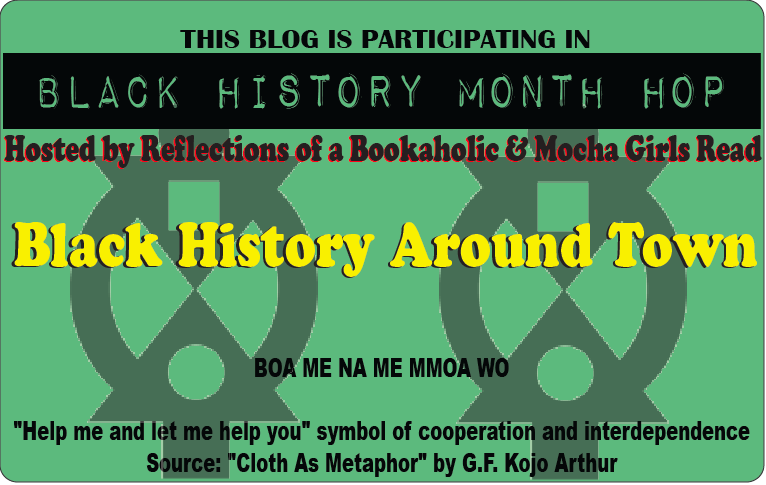 We selected Black History Month because many gatekeepers are actively looking for good books by and for African Americans to feature, at that time. It's great to walk into your local library and see a display with books by vanguards, but it minimizes the wealth of other books that are out there. 28 Days Later was our way of waving a flag reminding gatekeepers - hey, don't forget these when you're looking for work to booktalk or display. Then there's the issue of featuring "under the radar" authors. There's a school of thought that it diminishes an author's work to call them under the radar. Another way to look at it is, would you rather be known as a really good under the radar author or not known at all? If you go to a parent and ask them to name an African American author who writes YA or MG see how long it takes them to come up with someone at all, much less one who isn't among the already recognized. Now go ask that same question to a librarian, someone who is around books eight to ten hours a day. Don't be surprised if you're greeted with silence from both. It's because many brown authors writing for children are simply not profiled enough to mainstream gatekeepers or the readers. Thank you for telling us about your wonderful project! I look forward to reading about the 2012 honorees. Well, I for one, think this is a fabulous idea. I read authors that have something powerful to say (well, most of the time), and encourage my children to do the same. Your work is important and I hope that you don't let the criticism get you down. So true. It isn't possible to please everyone anyway. Now that you mentioned it, I don't think I've read any YA book by a Black author... but then, I'm not that familiar with all the authors I've read. Though it's probably because I'm one of those people who don't base the books they read by the author's race. I'm not too familiar with authors I read either. But if you want to read books with diverse characters, they aren't actually easy to find though they are out there. since they aren't prominent, I don't see them and buy them. I love this!!! This is why Black History Month is important. If only for one month the authors and their books are pushed to the front of the line. Keep up the wonderful work Brown Bookshelf. I agree. I understand why people have a problem with it occurring during Black History Month, but that's honestly when people look for it. It is what it is. Love this and I'll be checking it out. And like @Chel - I don't base books I read on an authors race - but I was appalled to look at the books I've read over the last few years and see that they are 99% by white authors. I may not base the books I read on race, but I definitely want to be more inclusive, so I'm choosing to make sure that from now on the books I read will represent a more diverse group of authors - both in their ethnicity and also from various countries. My shelf looks the same. For me, I buy books that I see and hear about. So I'm glad that there are sites like Brown Bookshelf to put more diverse books on my radar. Lol. Loves it! My bookshelf is seriously lacking as well. I'll have to work on that. This sounds like a great initiative and definitely one that is needed. There really weren't many well know AA YA authors out there and the only one I can remember is Mildred Taylor. I LOVED LOVED LOVED her books as a kid and wished there were more like them. Now maybe because of this project I'll be able to discover more for myself and my nephew when he get older. I was excited about the project for the same reasons. I didn't read may AA YA authors growing up. My library didn't have them and I didn't really buy books. Amazing web site, I just looked at it and had no idea there was a new American Girl ! Sharon Draper and Angela Johnson are other AA YA authors. I liked Mildred Taylor, I think I read all the Roll Of Thunder books. I didn't know either!I think I only read the first one. Wonderful! How absolutely wonderful to highlight YA and MG African American authors and creative artists. Thanks for sharing this info, I have already passed it along. Great! I think it is a wonderful idea as well. We definitely need more sites like this. I love this idea! It is wonderful to showcase authors and illustrators that may not be well known. I enjoy discovering new artists that I wasn't aware of before. There are so many talented writers to showcase!